- Project management based on solutions selected or specified by the client, using as preferred AGILE/Scrum methodologies, in a transparent fashion (resource accountability, milestones, feedback input – in the case of software development from mock-up pages to final deployments). Baselined and following the best Project Management Institute (PMBOK) practices. This includes but is not limited to emulation of business processes into database design, code optimization, user interface design, deployment of open source frameworks or proprietary software licenses and their maintenance, long term hosting solutions on virtual servers or redundant cloud instances. - Business Development - we recognize the value of direct, verified connections, that allow collaborative frameworks at a totally different bandwidth level. Hence, we are not building just technical systems. We are also building partnerships, transparent criteria for evaluating and growing the value of relationships, mutual representation, cultural bridges. We rely on mutual respect, empathy, accountability. What is the current set of principles we rely on? The most relevant phenomenon in the world is the accelerated dynamics of change, resulting from the availability of new technologies and the virtually instant awareness of them. It became more important to start a project in some direction than to prepare the start for too long. The “rightness” of the direction is validated later, by designing with options for change in mind from the very first moment. Perfect project road maps end up having large portions discarded and lots of resources spent in vain. And this is due mainly to the accelerated technology innovation and its instant distribution. Progressive elaboration is one of our mantras. The activities that lead the society to accomplishing quality goals began to rely more on knowledge, connectivity and expertise to deliver, than on natural resources, energy or even established credibility. The price and the measurability in order to minimize risks are leading the interest of those willing to buy. Add to the above: the opportunities offered by freely available “light” versions of services like software applications or software components, reliable cloud hosting without the need of high in-house network administration expertise, and best practice directed at identifying and solving real problems. The key ingredient that produces value is the analytical thinking that maps the needs of a customer and matches the right ingredients (that seem to be readily available for a minimal cost or sometimes even free), to obtain quick results. Before considering more personalized, more powerful solutions, clients want to grow and only then spend some of their profit on development. We understand and encourage this approach. 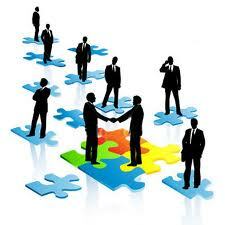 Among ourselves, we treat our customers as partners in reliable growth. When paying respect to them, they have the last word, as Masters. The social knowledge is an incredible amount of content created by share-minded talent. 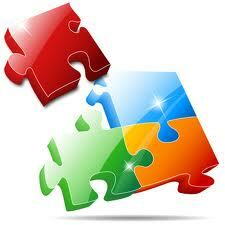 It can be found in many instances already structured (often by automatic content engines) and in most cases it’s free! 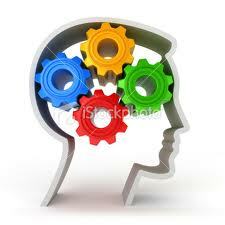 The social knowledge, valued through statistical, qualified filtering, can become, among others, a source for training. Value can be added to social knowledge by creating evaluation scales tests and testing procedures to determine the ROI resulting from applying it. Everything that most of our customers need to know to succeed is already known. We provide the proof that applying the knowledge in a certain, customized way, brings demonstrable improvement and the highest ROI – we don’t reinvent the wheel, we just put the right wheel in the right place, for optimal results. 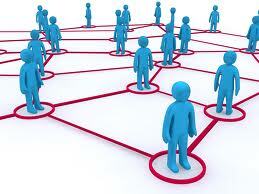 Social networking is actually more than the static result of interactions and creation of content. It’s the simultaneity of perception: the many brains invisibly connected and their power to work as a grid, the “cloud” of minds that share and negotiate opinions, share and back up responsibilities, always awake and ready to take on challenges. 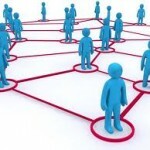 There is tremendous value in human networking, yet to be uncovered. Although The Network is neither “the message” nor “the product”, anything not delivered through the checks and balances of a network and without a lifetime guarantee will be considered unfit by all the customers of the future. We constantly build a network of minds that offer both the guarantee of listening to each other and the guarantee to answer to one another. What really makes the difference between affiliations meant to survive and those meant to live short and just leave behind “how not to” lessons, is their culture. Every entity should have a “quintessential agent” or, ideally, a generic persona around whom the entire mission of the entity can be defined and exemplified, and an “essential belief”, or credo. As far as the persona is concerned, everyone else is not less important, but everyone else has to have a state of mind that agrees or, again, ideally, loves to work in such a way that the entity’s persona is a champion. 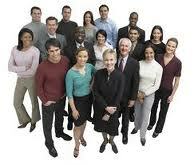 Everybody else should, indeed, have the culture of working for that persona and not just for themselves. When it comes to the credo, that belief is the lasting difference that an entity would like to make in the world. And therefore, every agent’s personal beliefs are not less important, but they should not be in contradiction with the credo.